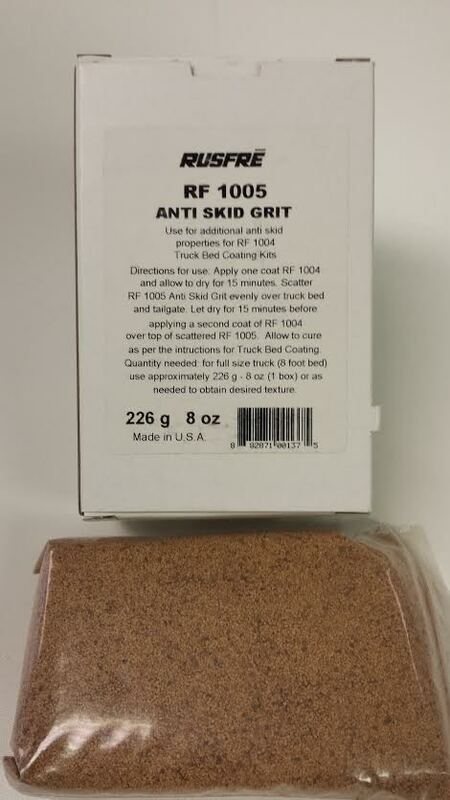 Use with kit 1004-120B or 1004-125B for additional anti-skid properties. Contains an angular shaped crushed walnut shell that’s environmentally friendly. One 8 oz box of grit will do an 8′ bed.